Col. Paul A. Friedrichs is assigned as the command surgeon, U.S. States Transportation Command, Scott Air Force Base, Illinois. Col. Friedrichs serves as the senior medical advisor to the commander, USTRANSCOM, and directs global patient movement in support of Department of Defense activities, including overseas contingency operations and defense support to civilian agencies. Additionally, Col. Friedrichs directs development of strategic policy and interagency coordination related to patient movement enabling 24/7/365 global aeromedical evacuation for the U.S. service members and other DOD beneficiaries. Col. Friedrichs received his commission through the Reserve Officer Training Corps in 1986 and his Doctor of Medicine degree (M.D.) from the Uniformed Services University in 1990. He has served as a clinical assistant professor of surgery at the Uniformed Services University and published 10 peer-reviewed surgical articles. He has commanded at the squadron and group level, and units he has led earned numerous awards, including “Best Air Force Hospital.” While at Headquarters AF/SG’s Office, Col. Friedrichs was the Air Force lead for the multi-billion dollar TRICARE - Next Generation contracts and led one of the AF surgical teams which responded to the Pentagon on September 11, 2001. As the 332 EAMDS/CC, he supported combat operations at Balad Air Base as well as all aeromedical evacuations leaving Iraq and cared for or operated on numerous casualties. As command surgeon, Headquarters Pacific Air Forces, Joint Base Pearl Harbor-Hickam, Hawaii from July 2011 to July 2014, Col. Friedrichs supported nine medical groups, three Numbered Air Forces, patient movement across the Pacific, medical contingency planning and OPLAN updates, tri-service/international medical cooperative engagement activities and served as the JTF-Support Forces Antarctica Surgeon. 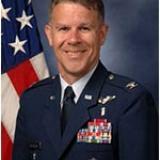 Prior to his current position Col. Friedrichs was vice commander, Air Force Medical Operations Agency, Joint Base San Antonio Lackland, Texas. Check out the incredible speaker line-up to see who will be joining Paul A. .